History and art lovers alike will enjoy Conrad Young’s latest book, New Hampshire’s Historical Covered Bridges. 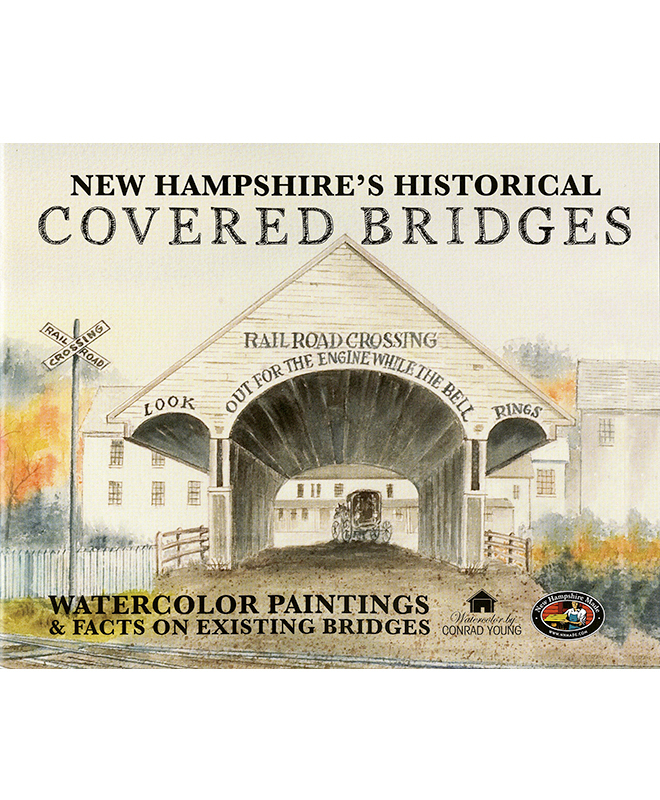 This book is the culmination of ten years of researching and painting various NH covered bridges and consists of eleven 10” x 8” watercolor paintings and a black and white ink drawing of the oldest NH bridge, the Bath-Haverhill. It also includes a NH location map and information on the 54 state-recognized bridges. Conrad Young considers himself blessed to have grown up on farms throughout New Hampshire. Vivid memories bring him back to the years spent in the woods and hayfields with his father who made a living as a farmer, logger, blacksmith, and horse breeder. These memories also instilled a passion for the rural scenes portrayed in his watercolors with their unique lighting, composition, and colors. Conrad Young’s book can be found at Lakes Region Art Association Gallery at the Tanger Outlets in Tilton, Covered Bridge Gallery in Contoocook, Hopkinton Historical Society, Warner Historical Society, Cardigan Country Store in Bristol, Concord Photo Service, or by calling Conrad Young at 603.224.6361. Just in time for the holidays, Conrad Young is having a book signing on December 3rd at 2pm at the NH Historical Society in Concord. Along with fellow New Hampshire writers, Rebecca Rule and Marek Bennett, Conrad will give a brief talk about his book and have copies on hand to purchase. Give a gift that keeps on giving this holiday season. By shopping locally and purchasing New Hampshire-made products, you’re supporting your community. Small businesses reinvest more of their earnings back into their neighborhoods – they give more to local charities than national chains, sponsor town holiday happenings and create local jobs. They also have one-of-a-kind gifts that you won’t find anywhere else. 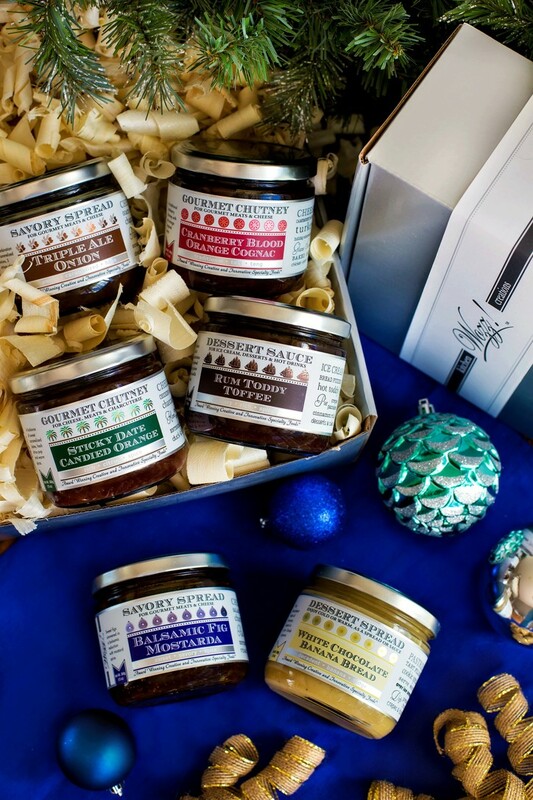 NH Made makes shopping for the holidays easy. To find a specific store in your area or to learn more about our 800 NH Made members, you can search our Member Directory. You can search by region, product category or keyword. Many of our NH Made members are having open houses to showcase their work and offering holiday specials to help you save money on gifts, home décor and foods for entertaining. Click on the link below to see a full list of promotions and events. NH Made also has an online store featuring a selection of member products. We ship across the country so you can share a little New Hampshire love with your family and friends living near and far.